With its richly patterned cladding of spandrel and clear glass and carefully scaled massing, the Durham Consolidated Courthouse makes a significant contribution to the emerging urban framework of downtown Oshawa. Its bold, modern vocabulary emphasizes transparency and openness both for users and passers-by. A large outdoor public space, Courthouse Square, is the forecourt to the building entrance and creates opportunities for civic engagement. 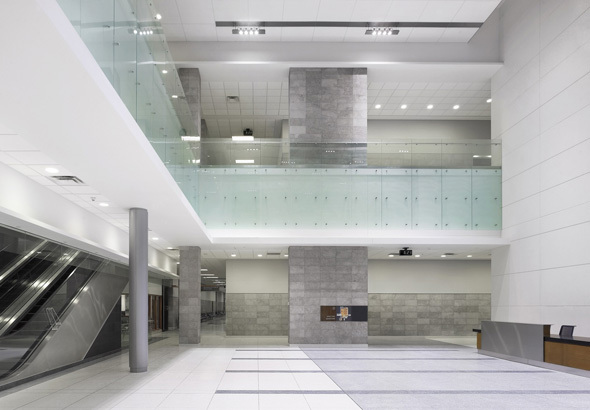 Providing badly needed space for the Province´s judicial system, this $190M six-storey, 40,000 m² structure houses 33 courtrooms, associated support space and prisoner-holding facilities. For planning efficiency, high-volume functions are located at or close to grade. 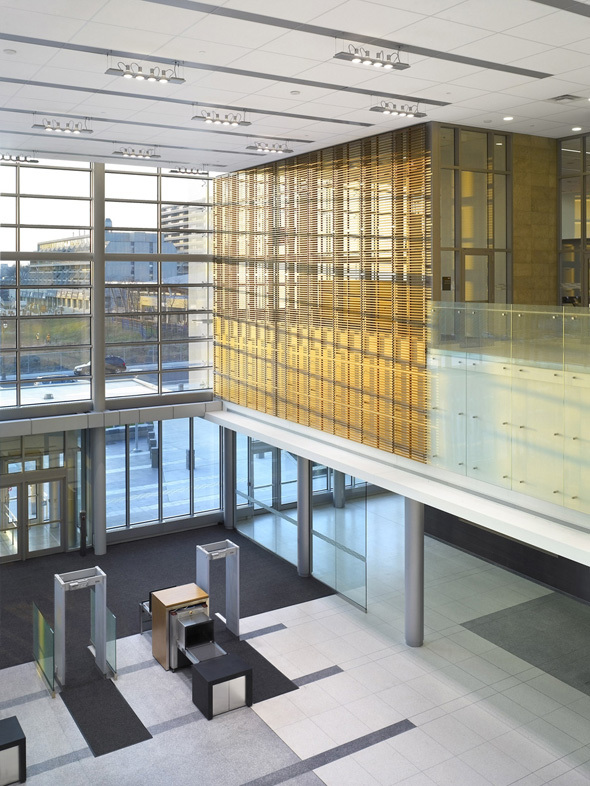 The courthouse is the first LEED Gold NC building completed for the Province of Ontario.